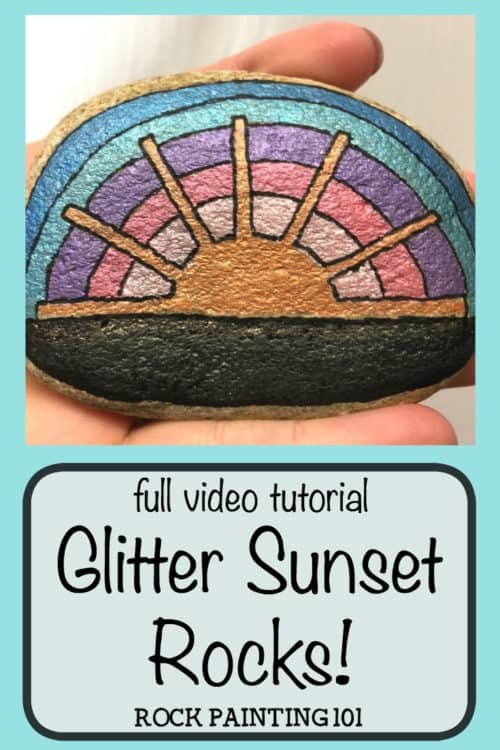 Create a graphic sunset with this fun tutorial. I use paint pens, but you can easily create this same look with a brush. I absolutely love these glitter paint pens. I love how they shimmer in the light. And I love how they make this graphic sunset pop! 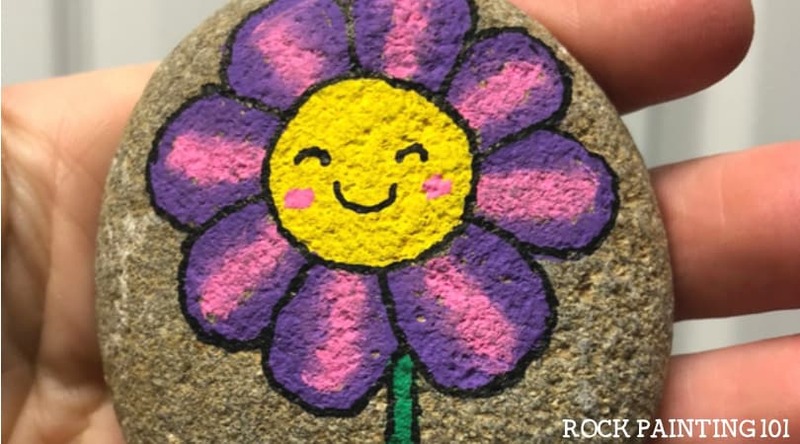 When kids find rocks that have a bit of a shimmer, they get so happy! I love to see their faces light up. 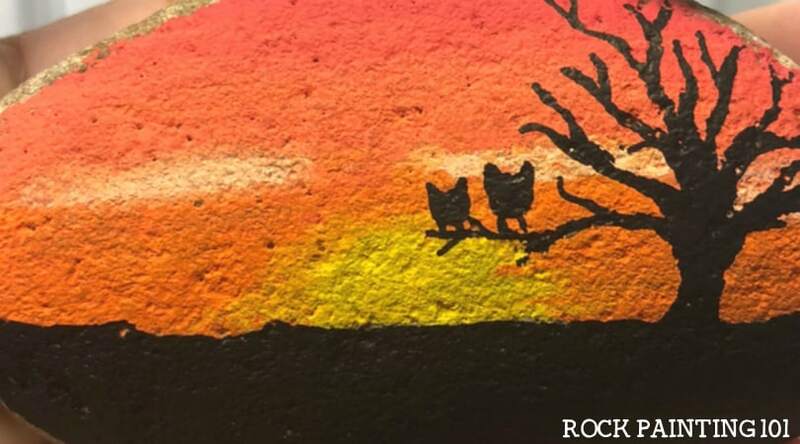 I created this rock painting idea when we had sunsets as our theme for the #52Rocks! challenge. And I still love it! 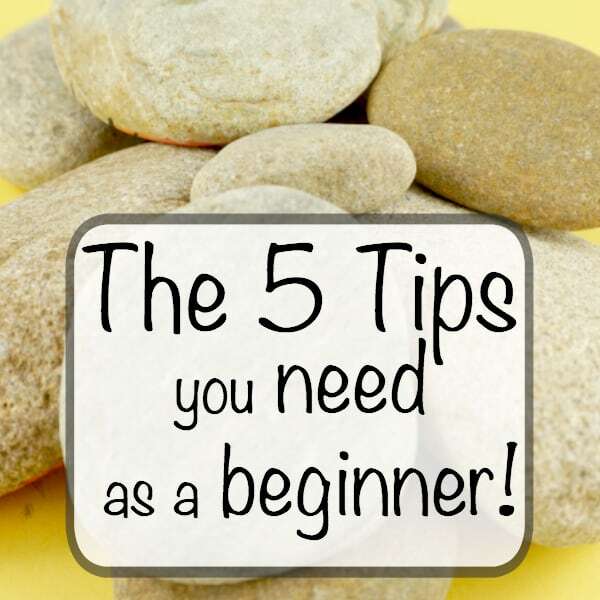 To begin painting your graphic sunset, use an orange color and paint a half circle for the sun. 101 TIP! : If you glitter pens aren’t flowing, try and clean off the tip. Sometimes a small piece of glitter will stop the paint flow. To create the sun rays, start with the two along the horizon. Add a ray straight up from the center of the sun. Then split the remaining space evenly. I’m not saying to break out a ruler or anything…unless you really want to. 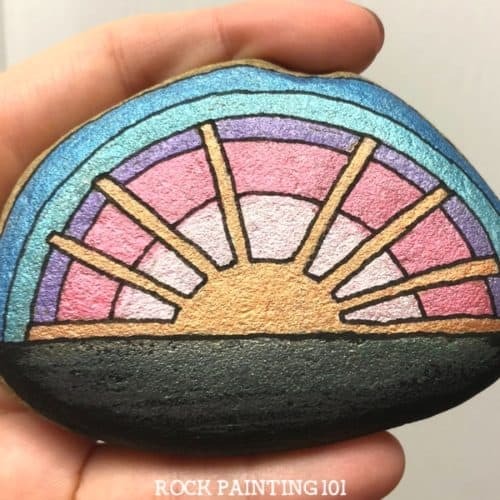 If you didn’t add a base coat, the sun may be blending in with the rock. Once you add the other colors, the orange should pop better. While the orange is drying, I painted my first coat of black along the bottom. Following the curve of the sun, add your first strip of color. I chose the light pink that came with my glitter pens. Repeat this process with each of the colors. Play with the thickness of the strips. See what you feel looks good. To give the black horizon some shimmer, grab the green glitter pen and scribble a couple of lines. Quickly rub the green into the black. Don’t go all the way to the sun line. Along the horizon line, repeat the process with the orange glitter pen. Once everything has dried. I added an outline to everything with an extra fine paint pen. 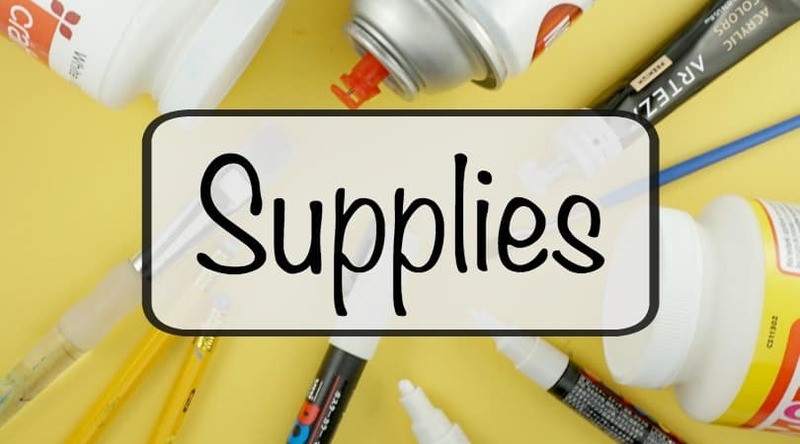 Make sure to use a nice light touch so that the paint pen doesn’t “spit”. 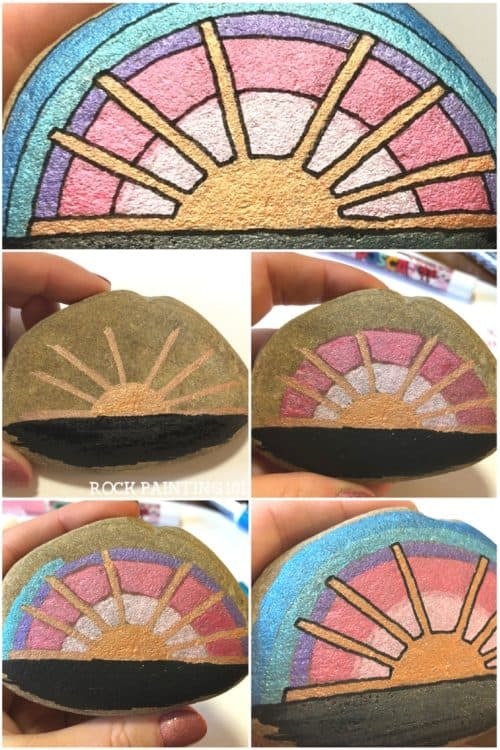 How to paint a sunset on rocks! 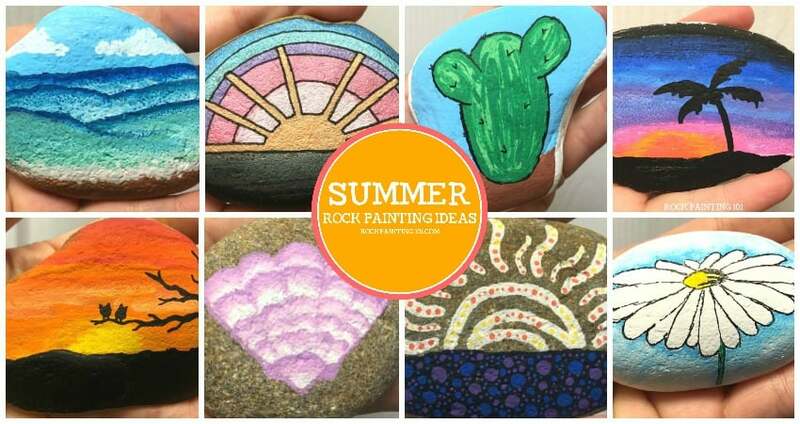 Pin this summer rock to your favorite Pinterest board!